A couple of months ago, my friend Shannon gave me a LOT of cabinet doors. While looking for an easy project to do recently, I decided that using repurposed cabinet doors to make a small bench for kids, dolls, or the garden would be a great little project. I sorted through the doors to find two that match. They look the same, but they are different widths. A bench needs some great legs. I have had these two for a long time. I think they were part of a piano ?? You can see that I ripped the beveled edge off of the cabinet door. I used some gorilla glue to help strengthen my joints made with my Kreg Jig. I love using these Right Angle Clamps to hold my boards while I secure the pocket hole screws I made with my Kreg Jig. In this picture, I have the front legs attached to the skirt, but I’m testing the height of the back legs. In this picture, I’m testing to see if the wider door should be the seat or the back of the bench. That is when I decided to rip the bevel off of each door so they would sit better on each other. I pre-drilled holes in order to secure screws from the skirt (box) to the back legs. I used Gorilla Wood Glue for extra strength. I use drywall spackling for a lot of my patching. It’s easy to work with and it dries fast. I had to remove a bunch of staples from the legs, and they left a LOT of holes. I used my AirStrike 18 gauge nail gun to secure the seat and the back to the skirt and the legs. There was a small gap between the top part of the legs and the door due to the recessed area. I used a small piece of think plywood to fill it in. This is how the back ended up looking. Now this little repurposed cabinet door bench is ready for some paint! I used General Finishes Antique White Milk Paint. I really like the way it covers, and that it’s not quite as flat as Chalk Paint or DIY Chalk Paint. So far, I haven’t even sealed it, because if feels really great and smooth. This little bench would be great for the kiddos, dolls or even for the garden to hold some bright colored flowers. I went to the basement and dug out Jamie’s American Girl dolls, but they sort of look too much like Edith Anne. I still have many, many cabinet doors left to repurpose. I’d love to hear your thoughts and suggestions for some easy projects. Could you give the dimensions of you legs as well as how high you made the seat from the floor? I typically make kids benches 10-12 inches from the floor. I no longer have this project so I can’t measure it for you. Apologies for not including it in the original article. How cute! We just remodeled our kitchen and I rescued all the doors! Thanks for the great ideas! Many if not MOST of these doors have found new purposes. I have just edited the blog post to show many more projects that have been made from cabinets and cabinet doors. I’m glad you rescued all the doors from your kitchen, how fun! Welcome to my little corner of the world Joyce! I’ve seen the type of headboard you’re talking about, and it’s a great idea. I’ve also made a small doll bench out of cabinet doors. I love what I do! How fun that you will have a “partner in creativity”. Wishing you all the best. Adorable idea…as always it turned out perfect! Great job as always. Never thought of doing cabinet doors into a small bench. Would look great in a garden of flowers with a pot of flowers sitting on it. Ha! Gail… I loved Edith Anne, who didn’t? This little bench is so cute. I saw that someone gave you a list of links for other projects with the other doors. Might I suggest… something? i’LL EMAIL YOU. THIS TURNED OUT SO CUTE. Great use of the doors. I can’t believe how many you have! That would look lovely with red geraniums on it. i think that little bench is just awesome! 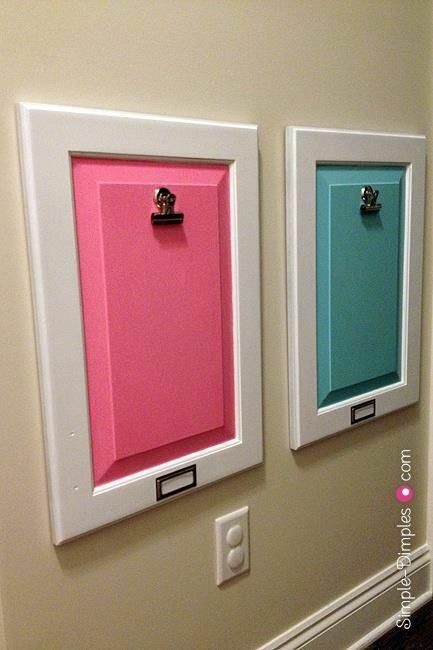 How creative, cute and thrifty! And wow, that is a lot of cabinet doors! What a cute project, Gail!